Bring The Big Screen Home! 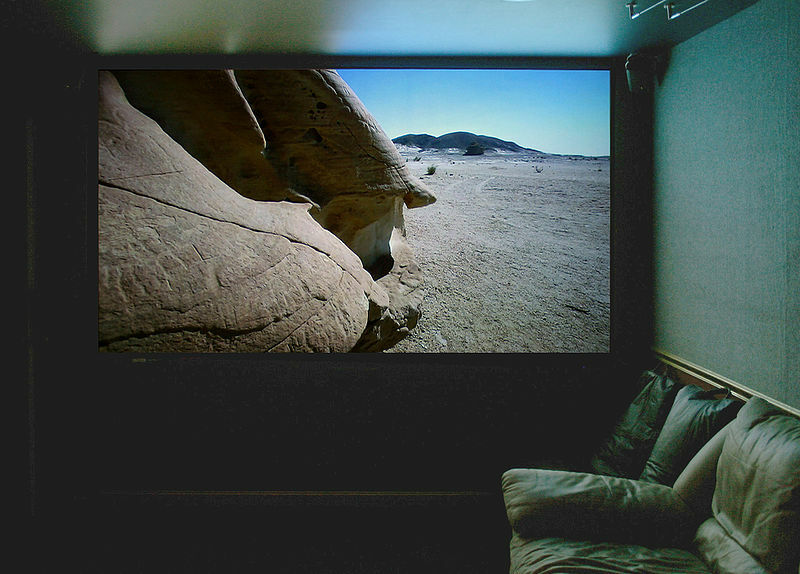 Whether you are looking to host a massive film viewing for a block party, need to give a mind-blowing presentation to a prospective client, or are nostalgic for family and home movies taken from holidays long past, a projector screen is an excellent way to let more eyes view whatever you want to use a projector for. Kazoo Audio offers projector screens in a variety of sizes and features. Whether you need a collapsible screen that is easily transportable, or a screen permanently mounted on the wall in a board room or home theater, our knowledgeable staff is here to help you. You may not be able to find wall-space sufficient enough to satisfy your audience without impairing the images. There may be times when you do not have access to a wall for screening purposes or the wall is not uniformly flat, possessing bumps and divots that may detract from a screening. Unlike a wall, a proper projecting screen actually amplifies the level of brightness perceptible by the audience. A coach looking to better train a team can use a screen to review game footage or dissect the team’s playbook. An office boardroom could have a dedicated pull-down screen for delivering dynamic business presentations or shareholder reports. Applying an even layer of green paint on these screens gives online content creators a way to play around with green screen video effects. Conduct group training sessions by conveying information onto the screen for a group of people to see.